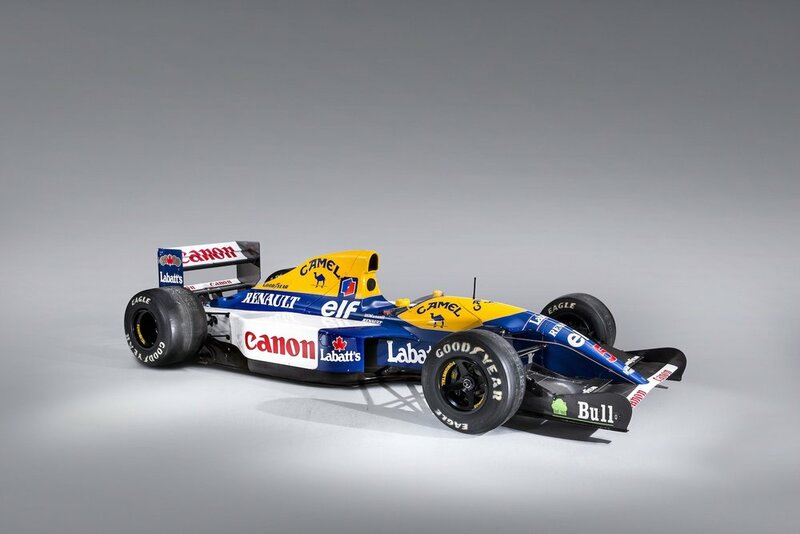 The Williams-Renault FW14B Formula 1 car in which legendary British racing driver Nigel Mansell won five Grand Prix races on his way to becoming 1992 Formula 1 World Champion Driver is to be offered by Bonhams at the Goodwood Festival of Speed Sale on 5 July 2019. 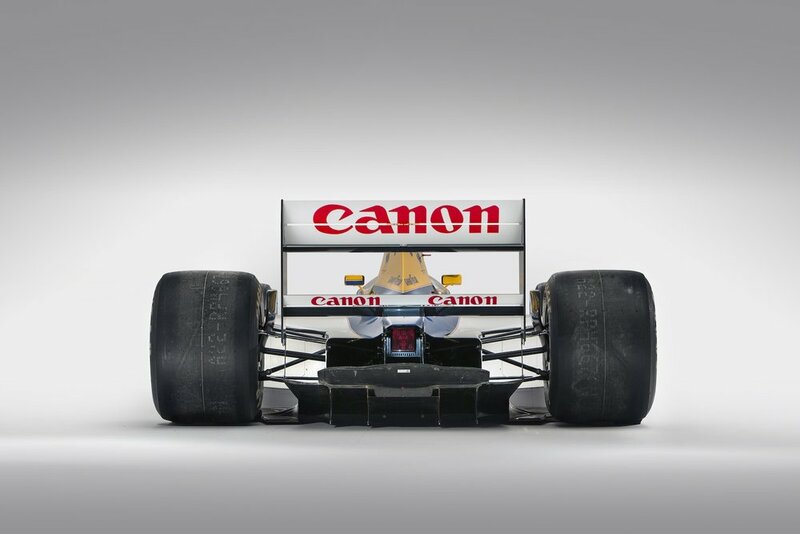 This historic, sophisticated and complex Formula 1 car contested 13 of that year's 16 qualifying Grand Prix races, and was driven by World Champion Nigel Mansell in seven of them. The combination of Nigel Mansell and this Williams-Renault FW14B chassis '08' won five of those seven Grand Prix races and finished 2nd in another before the car was entrusted to Mansell's Italian team-mate, Riccardo Patrese. Under Mansell's command, the car became known as 'Red Five,' after his race number, and while piloted by Patrese, it became 'White Six.' Patrese contested a further six Grand Prix races in this car that year, scoring World Championship points in three of them before ending the season as runner-up in the Drivers' competition to World Champion Mansell. During that season, the Mansell went on to break Ayrton Senna's contemporary record of eight Grand Prix victories in a single season by adding four more to his Williams-Renault FW14B haul, thereby becoming the first driver in Formula 1 racing history to win nine World Championship-qualifying Grand Prix races within a single season. He sealed that memorable year's Drivers' Championship at the Hungarian Grand Prix in mid-August, with five qualifying rounds still to run. 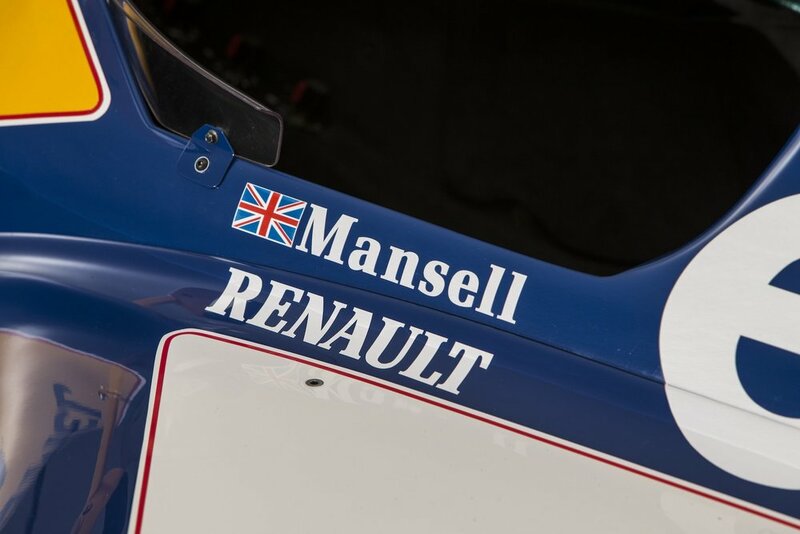 Mansell became the first Briton to win the World title since James Hunt in 1976 and, in parallel, Williams-Renault won the 1992 Formula 1 Constructors' World Championship. Overall, this spectacularly historic World Champion Formula 1 car contested 13 World Championship-qualifying Grand Prix races, winning five and finishing second twice. It qualified on pole position seven times for its 13 Grand Prix races. 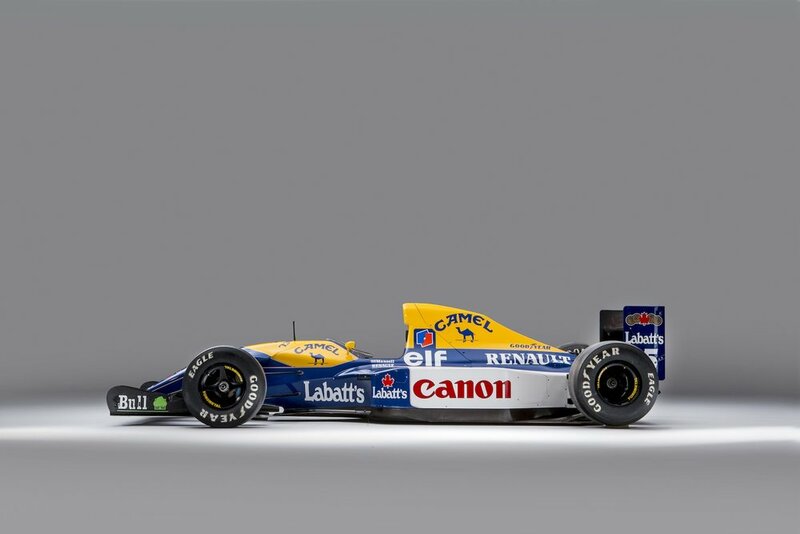 The Williams-Renault FW14B design proved itself to be one of the most dominant Grand Prix racing cars of all time. It was also one of the most sophisticated and exquisitely complex ever built. The FW14B was designed by Adrian Newey, widely celebrated today as one of the most successful Formula 1 designers of all time. 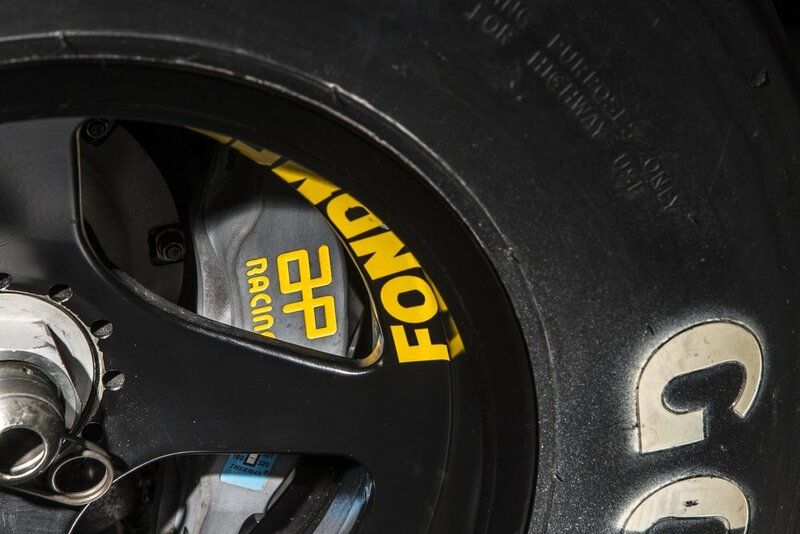 In addition to its 3.5-litre V10-cylinder Renault RS3 racing engine, car FW14B/08 features Williams Grand Prix Engineering 6-speed semi-automatic transmission and Williams GPE ride-leveling active suspension. In combination with the car's cutting-edge aerodynamic form, this recipe produced a car which boasted top level on-circuit performance in the 1992 field, in which it consistently out-performed the very best that Ferrari, McLaren-Honda, Benetton, and Lotus could pitch against it. Having been painstakingly well-preserved, initially by Williams Grand Prix Engineering and subsequently by a single private owner, the Williams-Renault survives today in running order. Both its V10-cylinder engine and the sophisticated hydraulic active-suspension system have been exercised in recent weeks. Mark Osborne, Global Director of Motorsport at Bonhams, commented: "The FW14B was the high-water mark in Grand Prix design for '92. It was so dominant that it trounced the competition in ten of the sixteen rounds of the Championship, with records tumbling along the way. As a young man, and along with a nation, I was in patriotic awe of the brilliance of the British Williams cars, and of Red 5 in particular. 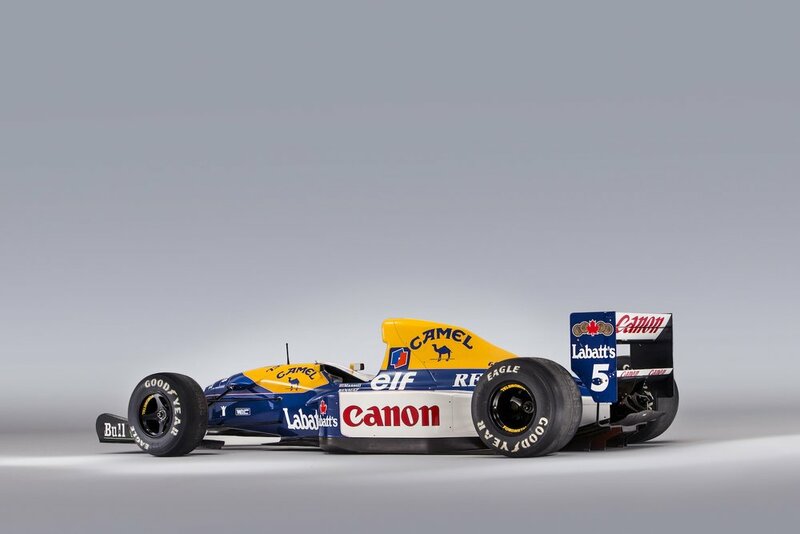 Chassis 8 was the focus of that adulation - the best of the breed - and in Mansell's hands it took the first 5 rounds of the Championship. The FW14B was then and remains today one of the most sophisticated cars to compete in F1, and we at Bonhams are honored to have been entrusted with such a motor racing legend."